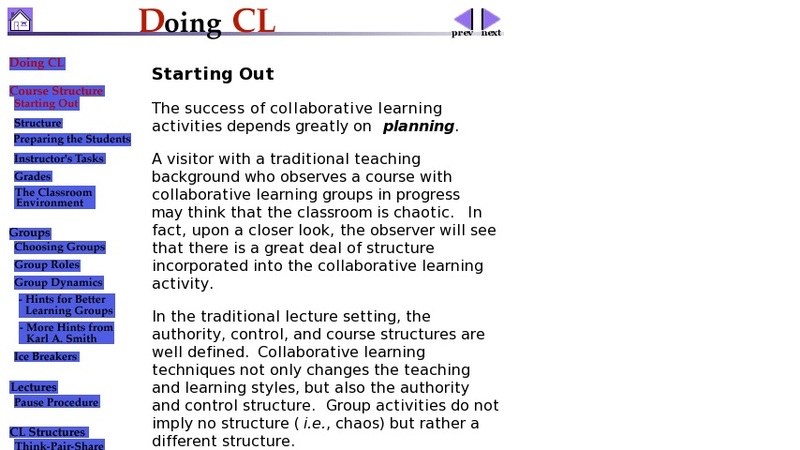 This website presents a guide to planning, preparing, and structuring a collaborative learning exercise, striking a balance between structure and independence. In the traditional lecture setting, the authority, control, and course structures are well defined. Collaborative learning techniques not only change the teaching and learning styles, but also the authority and control structure.